Ongoing work in the ‘Secret Garden’ section. 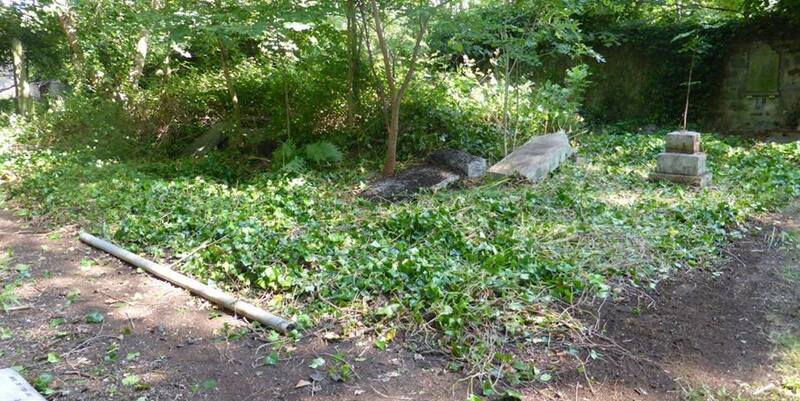 We didn’t manage to grab a ‘before’ picture of this area, so you don’t see the brambles we had to clear to get to these gravestones. However, this area is to the left as you enter that section through the second archway. Now clearer and more welcoming, with more to come. The first photograph has been resized to fit this page. Click the image to view a larger version.